DGRC, located near Cottage Grove, OR was established in 1966 as the headquarters for the White Pine blister Rust Resistance Program. Over the past 50 years, the Center has worked on many programs including Phytophthora lateralis resistance for Port-Orford-cedar, containerized seed orchards for western larch, and common garden studies to study genetic variation. Through breeding and development of native tree species resistant to non-native invasive pathogens, seed store management, production of seed for regeneration needs, and training workshops the Dorena Genetic Resource Center provides leadership and significant services in the Pacific Northwest Region’s genetic resource and forest health protection programs. The registration fee is $295 if received by October 19 or $350 if received after October 19, 2015. The registration fee includes 2 lunches, field trip transportation, and evening dinner. Checks should be made payable to Western Forestry and Conservation Association. Purchase orders, VISA/MasterCard, and American Express are accepted. Tax id # 930-331-712. No refunds for cancellations after October 19, but substitutions are always welcome. Cancellations received by October 19, 2015 are subject to a 15% service charge. Cancellations received after that time will be charged the entire registration fee, but substitutions are always welcome. Please contact Amanda (amanda@westernforestry.org) to make a cancellation or substitution. 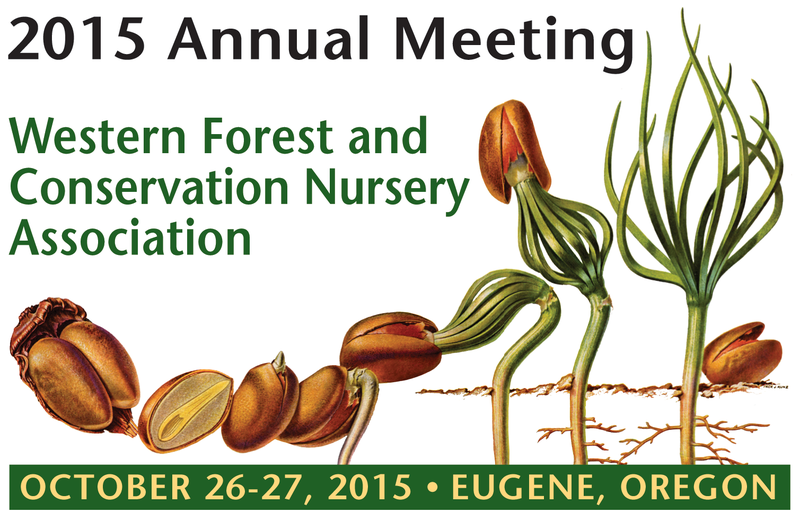 Reduced rate lodging is available at the Hilton Eugene by calling 800-937-6660 and by mentioning Western Forest Nurseries Meeting. The rate for a single or double room is $114.00 plus tax. After September 25, 2015 the reduced rate will be subject to availability.